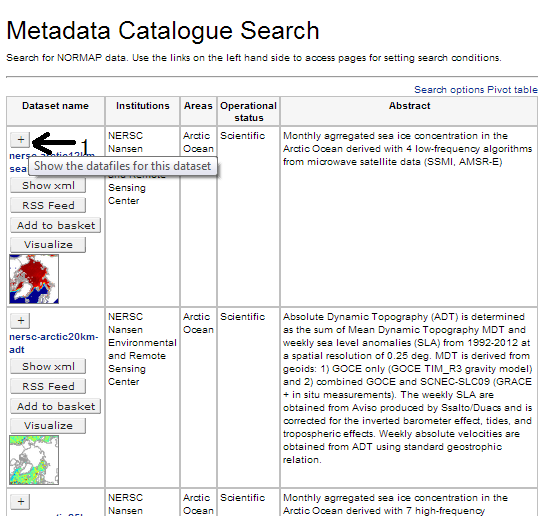 In the table with the search results you will see several rows with datasets. 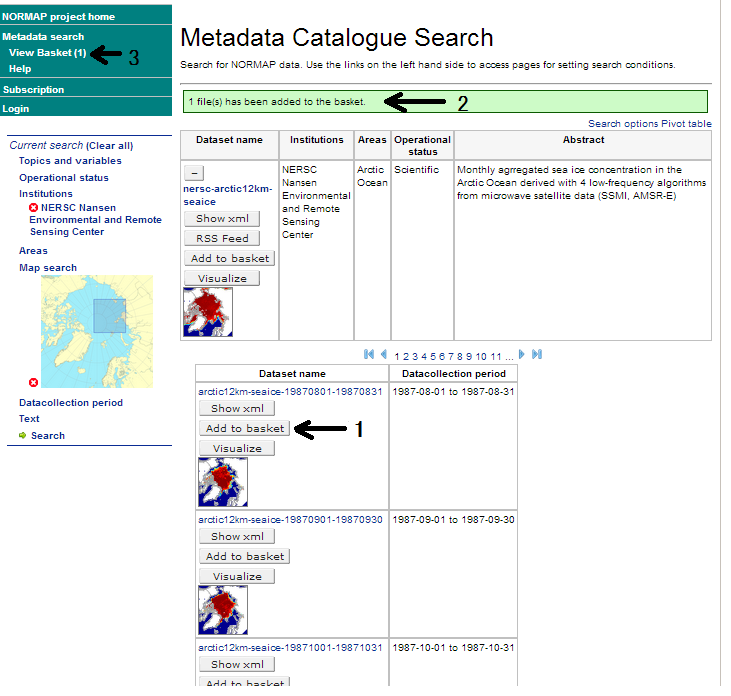 Each dataset usually consists of several subdatasets for each time step. 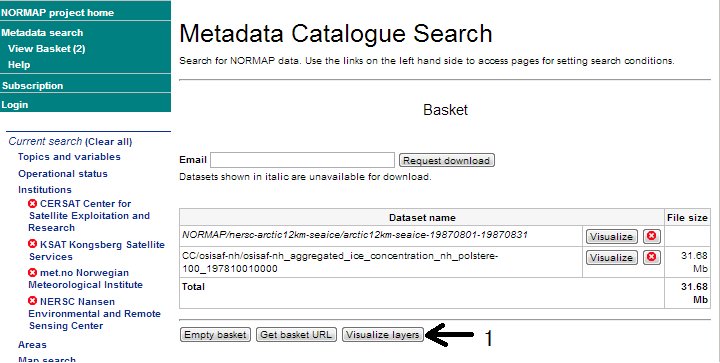 (1) Click the '+' button in order to expand the subdataset. (1) Click the 'Add to basket' button to pit in the basket. (2) A message 'file(s) has been added to the basket' is shown. (3) A number of files in the basket is shown. (1) Click the "x" button which you want to remove. 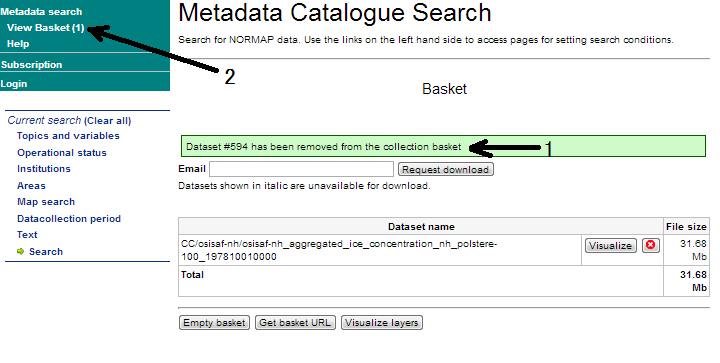 (1) A message 'Dataset # has been removed from the collection basket' is shown. (2) A number of files in the basket is shown. 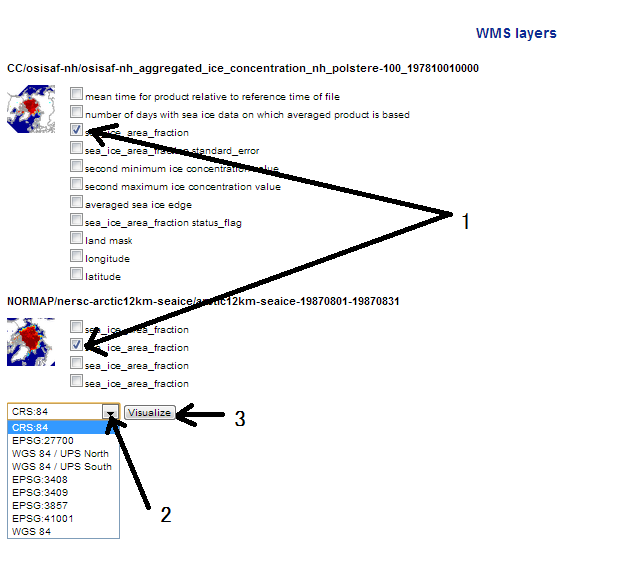 (1) Click the 'Visualize layers' button to create layers. (1) Choose variable names which you want to create layers. (2) Choose a projection. (3) Click the 'Visualize' button.